The recent stories about harsh indie gamedev working conditions, triple-A microtransaction scandals and oversaturation of digital platforms are necessary, but they can have a nasty side effect making the general public forget that game design can be fun and exciting. There is a palpable barrier between game developers and game players which is wider than other mediums such as prose, film or music. The best bridge for this gap is software like RPG Maker, Ren’Py and now, PlataGO!, which takes away the more prohibitively complex elements of development in order to let people experience the feeling of creating a new, unique game experience. With PlataGO!, you’re getting the chance to make your own platform game and share it with not just your friends, but also a growing online community. Its vision of seeing ordinary people become game developers is admirable, even if some of its technical features haven’t been ironed out yet, and it’s certainly a promising project to keep watching. Related reading: Another "builder" that a lot of people will really enjoy using is Visual Novel Maker. Our write-up of that software. There’s really two main experiences available with PlataGO! – the base package with premade graphical assets and objects, and the more advanced version which allows players to make own tools to give their levels some flair. There’s no menu option for one or the other, but there’s a clear line between the intuitive point-and-click editor and the customisation options, which require the user to fiddle about in the game’s source files. Upon first loading PlataGO! 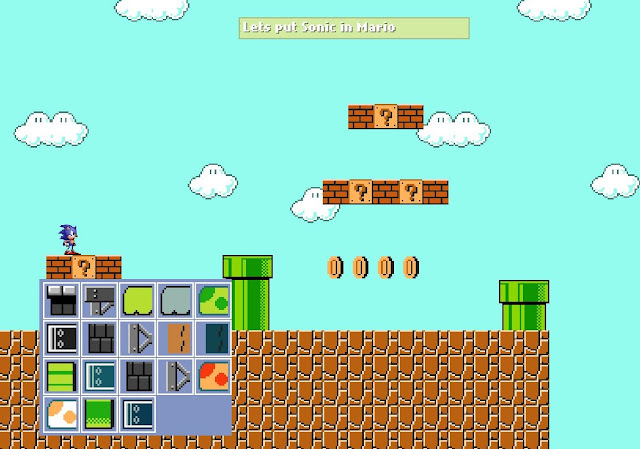 up, you might be expecting a non-character-specific version of Super Mario Maker. The draw is much the same for both titles, although while Mario Maker uses a universally recognised mechanical language (you can’t change what Goombas, Fire Flowers and Shells do, for example) to make it more of a toy used to develop levels, PlataGO!’s assets will be largely unfamiliar to most users. I had a lot of fun at the beginning simply figuring out what the enemies did, and how to create situations which would be challenging yet manageable for the player. Most objects are customisable with a right click, to change various simple variables like their move speed or their firing frequency. It’s very to get started and make your first level. All you need are a few blocks, a few challenges and an exit door and you’re ready to share your creations to the world. The game doesn’t have a lot of instructions or a lengthy tutorial, but it doesn’t exactly need one either: it’s more than happy to make the act of experimentation itself part of the experience. 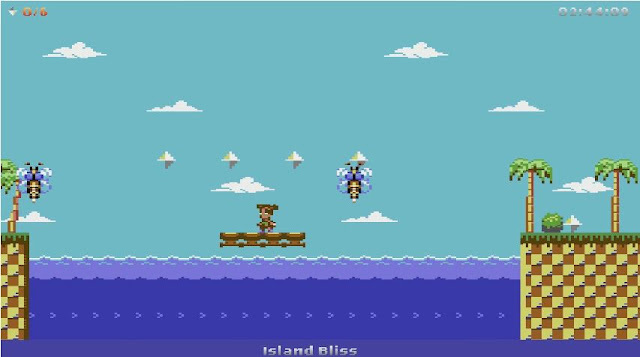 There are already dozens of potential items, powerups, enemies and obstacles to play around with, and there is even the promise of more in the future. Players who are looking for inspiration can peruse the online library of levels or take a look at some of the pre-designed ones that come with the game, but beware as quality control does currently leave a little to be desired. It’s hard to tell at a glance whether an uploaded level is well made or not, although hopefully Steam Workshop integration will even things out. It’s possible to rate levels out of five stars but at the time of writing nobody is doing that. On a more heartwarming note, the developers themselves seem to be playing a few and leaving feedback. The levels which pre-installed with PlataGO! however are almost universally flawed in one way or another. The main culprit lies in the preset settings themselves: little things like the screen being too zoomed in, the double jump going way too high, collision detection needing refinement and telegraphing from enemies and spikes prevents the levels from being too playable. There’s a few objects which are completely unusable, such as the retracting spikes which don’t hurt the player unless they’re fully extended, but also don’t display an indication when they’re going to shoot out, so you might jump onto a seemingly safe platform only to get impaled. I would love to see some of these problems fixed in future builds. There are also the occasional problems, mostly arising due to the game’s Early Access nature. Sometimes the list of objects stops scrolling and you’ll need to restart the game. Sometimes the “quit” button doesn’t do anything, and you’ll need to force shut the application down. I’ve lost my progress lots of times because of issues like these. I’m not saying you shouldn’t support this game though – the developers are extremely responsive, at times even releasing multiple patches in the same week. In a way it’s inspiring to see the development options increase, and to think what possibilities appear with each subsequent update. The most recent one at the time of writing added support for friction for the main character, which means a Sonic-like game is theoretically now possible. As more content and options are added, I anticipate PlataGO! will become a diverse and powerful tool which will rival the likes of Super Mario Maker. Related reading: Mario Maker on the Wii U is of course the best known "platformer maker". Here's our review. Problems aside, PlataGO! celebrates the innate fun of level design, and it’s sure to delight those who wish to dip their toes into game development without being overwhelmed by the more obtuse aspects of coding and debugging. The package in its current form offers both intuitive point-and-click features along with the ability to fiddle around with key variables, giving users a chance to express themselves creatively. 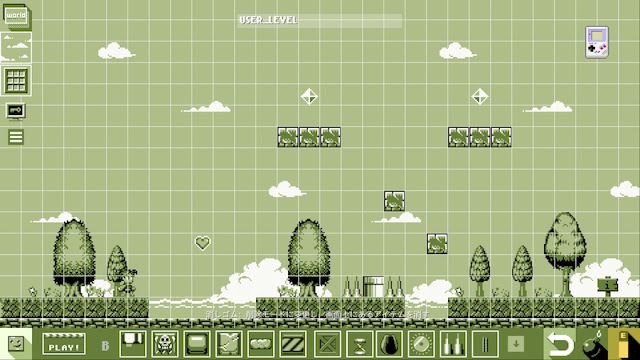 It might never become as versatile as tools like Game Maker or Unity, and its users are unlikely to be able to make a commercial product with it, but there’s also an appeal to experimenting with game mechanics and making levels for your friends. I hope that PlataGO! will be able to grow a supportive community united by an interest in game design, and perhaps be an entry point into what is otherwise a tough medium to get started in.